With the beginning of April and very good weather comes the time for my favorite colored pants and tops! I was never the person to wear black for casual dressing. Recently I got invited to an event where the dress code was black which made me visit shopping mall for my first pieces in black! As long as i could remember myself it was only colorful clothing in my wardrobe, majorly thank to my mom! Im pretty glad tho, black is a color for everything and yes it makes us look thinner but in order to brighten the day and lighten your mood colors are the best choice! Oh! Almost forgot! ha haaaaa! I have a present for you!! GIVEAWAY OF THE TICKET FOR JESSIE J C ONCERT!!! Participate and dont forget the three obligatory points to enter that are crucial! Last Giveaway, the first person who came up first didn't complete 5 out of 6 obligatory and had to be disqualified! Its important! And the cacti, they are so pretty! ahah sometimes u do! :) it is i think! she's pretty so are you :) Yeah thanks! Are u participating in the giveaway? Adoro as fotografias! E estás muito bonita. Btw, estou a participar no giveaway! Eu amoooooo o teu blog e as tuas fotos são lindas! You look stunning! I'm participatig of course ahah! Que linda! ;) Gostei do look e do cenário. Heyy! why not? something happened with the gadget? Enter the giveaway!!! 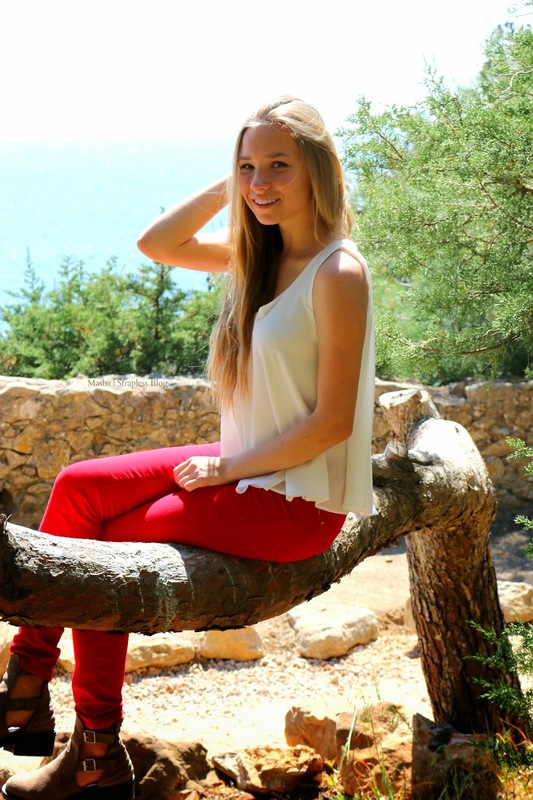 Love the red jeans, such a great setting for photos. I am following you now on GFC, hope you'll follow me back. thank youu!! are u participating? it is so magical right!!! You are so pretty! Nice pics!